Paintball continues to be a wildly popular game played by millions of people of all ages in the U.S. 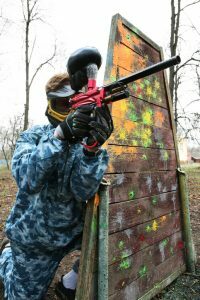 Nevertheless, it’s subject to considerable controversy by critics who believe paintball involves a particularly high risk of serious injuries. The game involves guns that use compressed carbon dioxide to propel small paint-filled pellets that burst upon contact with an object. The paintball pellets can travel at speeds of up to 200 miles per hour – that’s nearly 300 feet per second. There are an average of 56 air and paintball gun-related emergency room visits every day nationwide. Children under age 17 make up approximately 60% of those visits. Males are five times more likely to suffer paintball injuries requiring a trip to the ER. The most serious injuries include eye injuries, ear injuries, and even death. Paintball’s most common minor injuries include cuts, welts, and bruising. Sprained and twisted ankles also occur, and there are reports of players suffering breathing difficulties after being shot in the throat. Eye injuries make up an estimated 85% of all paintball injuries, many of which can lead to permanent visual impairment, even vision loss. Nearly half of these reported eye injuries occur in children. Reported paintball-related eye injuries include hemorrhages, corneal scratches, detached retinas, cataracts, and commotio retina (bruising and swelling of the retina). ANSI-approved safety goggles should be worn at all times on the playing field and shooting range. 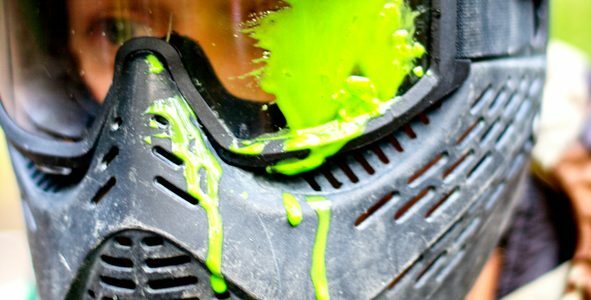 Ear injuries are one of the most common paintball injuries. Being shot on or near the ear from close range can lead to cauliflower ear, a ruptured ear drum, tinnitus, permanent or partial hearing loss, and even concussion. Paintball-related deaths are rare, but can occur. The CPSC issued a paintball gun safety warning in 2004 following reports of two deaths associated with carbon dioxide canisters detaching from paintball guns. In separate incidents the canister flew off and hit a participant and a bystander. It’s advisable that all paintball facility operators carry General Liability Insurance with an each-occurrence limit of at least $1 million. Contact us online or call us at 800-622-7370 for a quote. Source: David Goguen. “Paintball Injury Lawsuits.” www.nolo.com.